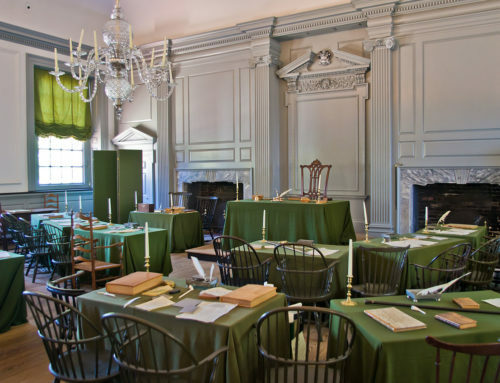 Historians of the Constitutional Convention have agreed that there were divisions among the delegates, but have disagreed as to what those divisions were and what underlays them. It was long believed that the only significant line of division was between small states and large. Delegates from the small states, according to this view, were less nationalistic and less far-sighted than those from the large; they thought the “exigencies of the Union” could be provided for simply by vesting a few additional powers in the unicameral Congress of the Articles of Confederation, in which each state had one vote. Delegates from the large states, by contrast, saw the need for a thorough overhaul of the existing system so as to establish separate legislative, executive, and judicial branches; to divide the legislative branch into two houses, representation in both of which should be made proportional to the population of the states; and to vest the national government with coercive power in all matters of national concern. The intransigence of the small states made necessary the famous Connecticut Compromise, whereby the states were given equal representation in one house and seats were made proportional to population in the other; but otherwise the large-states nationalists, led by James Madison, James Wilson, and Gouverneur Morris, pretty much had their way. Variations of that scenario still prevail in textbook accounts of the framing of the Constitution—and, one may add, in the official line hewed by the Bicentennial Commission—though scholars have long since demonstrated its lack of resemblance to what happened in Philadelphia during the summer of 1787. For openers, the split over representation was not one between the more populous and the less populous states. If the extremes (Virginia, the mammoth, and Delaware, the midget) are omitted, the average population of the states voting for equal representation was roughly 278,000, and that of the states favoring proportional representation was about 307,000—a difference of ten percent. Again, the alignment on the question was sectional (states south of the Potomac 4:0 in one camp, those to the north 6:2 in the other), and it also reflected the division between states that had claims to western lands and those that did not. Yet again, the compromise did not originate with the Connecticut delegates (the first to propose it was William Pierce of Georgia on May 31, the second John Dickinson of Delaware on June 2), and the traditional view leaves out of account the realignments that took place after the compromise regarding representation was agreed to on July 16. Finally, and most important, the delegates in the early “large-states” bloc proved not to be appreciably more nationalistic than those in the opposite bloc, nor did the likes of Madison, Wilson, and Morris have their way on many issues that they themselves considered significant. The alignments in the Convention—notice the plural—can be and have been fruitfully studied by analysis of the shifting patterns of voting behavior as the Convention unfolded. Probably the most sophisticated such study is that by Calvin C. Jillson (1981), who found that coalitions realigned themselves during each of four phases of the Convention. The traditional “small vs. large” alignment prevailed until the adoption of the compromise on representation. A different coalition, pitting the two northernmost and the three southernmost states against the six states in between, then arose and held until August 28. The raising of certain issues concerning states’ rights and states’ powers brought about a short-lived (August 29 to September 3) return to a large vs. small alignment. From September 4 to the end of the Convention on September 17, Pennsylvania, Virginia, and the Carolinas formed one bloc in opposition to the seven other states present. Despite its significant contributions, however, Jillson’s analysis is marked by certain weaknesses. Some are inherent in any quantitative study of voting patterns—the tendencies to confuse numbers with reality and to obscure motivation, tactics, qualitative differences among issues, and other subtle considerations. Another is that certain blocs remained constant throughout the four phases: Pennsylvania and Virginia, the two Carolinas, and Connecticut-Maryland-New Jersey. Moreover, Delaware stayed with the last of these blocs except during the six days of the third phase, and New Hampshire, whose delegation arrived only after the end of the first phase, sided with Massachusetts to the end. Finally, study of voting patterns tells us nothing of the attitudes and behavior of the individual delegates, since votes were cast by states. A better understanding of the alignments in the Convention can be reached, I believe, by approaching the delegates as human beings rather than as abstract representatives of positions or interest groups. We have, after all, fairly abundant (though far from complete) records of the debates, and the private correspondence and political writings of many of the delegates are available. From these sources it is possible to obtain a firm grip on the beliefs, attitudes, prejudices, and values of the principal characters among the Framers. It is also possible to gain a feeling for such intangible qualities as temperament, personality, and ability—qualities not susceptible to measurement but arguably of critical importance in determining whether the Convention would succeed or fail. Let me illustrate this last point by reference to Alexander Hamilton and Elbridge Gerry, both of whom went into the Convention convinced that it was necessary to strengthen and thoroughly reorganize the national authority. Hamilton was a man of towering genius, flexible and creative imagination, and superb gifts as a speaker; but, in the words of William Pierce, “his manners are tinctured with stiffness, and sometimes with a degree of vanity that is highly disagreeable.” Gerry, by contrast, was a plodding sort, well-educated but dull, a republican ideologue and protege of Samuel Adams who had been jarred from his jealousy of national power by the trauma of Shays’ Rebellion; he was also a “hesitating and laborious speaker” who got on people’s nerves and was himself extremely thin-skinned. It was almost inevitable that if Hamilton and Gerry should occupy the same room for any considerable length of time, they would clash resoundingly. And it was as likely that Hamilton would have supported any constitution produced by the Convention as it was that Gerry would disapprove it. A wide assortment of similar comparisons could be made. On such personal bases, I would suggest that it is possible to group the delegates into three general camps. The first would include those whose nationalism was unreserved or nearly so, but would have two subdivisions: ideologues, whose attitudes were grounded in abstract philosophy and political theory (Madison, Wilson, and Charles Pinckney, for example), and nonideologues, whose attitudes were grounded in experience (Robert Morris, Gouverneur Morris, and Washington, for example). The second, opposite group would include those whose nationalism was reserved or virtually nonexistent, and it also had two subdivisions: country-party ideologues, who were willing to strengthen the national authority only if its powers seemed to them to be distributed in accordance with theoretical doctrines laid down be the likes of Harrington, Trenchard, Gordon, Bolingbroke, and Montesquieu (George Mason, Edmund Randolph; and William Livingston, for example), and state particularists who were scarcely willing to strengthen the national authority at all (John Lansing, Robert Yates, and Luther Martin, for example). The third group comprised those who might be described as the “middle delegates,” who took a stance that was partly national, partly federal. The major figures in this group were Roger Sherman, Oliver Ellsworth, and William Samuel Johnson of Connecticut; John Dickinson of Delaware; John Rutledge, Charles Cotesworth Pinckney, and Pierce Butler of South Carolina; and Hugh Williamson of North Carolina. These men did not see eye to eye on every issue, and on some matters they were strongly opposed to one another. What they shared were wisdom, a Burkean kind of conservatism, practicality, and a belief that, as Dickinson put it, “Experience must be our only guide,” for “Reason may mislead us.” Or, in the words of Petronius, “Ne philosophos audiamus:” let us not listen to philosophers. In most descriptions of the work of the Convention, the nationalists are depicted as having dominated the proceedings and as being the Constitution’s principal architects. In the pages that follow, I shall attempt to demonstrate that the middle delegates were far more effective than the nationalists in bringing about the kind of constitution they sought. Before essaying an account of what the middle delegates did during the Convention, it will be useful to the reader to be introduced to them, since most are not at all well-known even to scholars who specialize in the period. Proceeding in alphabetical order permits us to begin with the most obscure of the lot, Major Pierce Butler. Mr. Butler was born into a noble Anglo-Irish family (that of the Dukes of Ormandy) who bought him a commission in the British army when he was eleven years old. He was among the troops sent to Boston in 1770; the next year he married a daughter of one of the wealthiest South Carolina plantation families, resigned his commission, and moved to his wife’s native colony. Little is known of his education, though it can be assumed that he was steeped in the classics (his friend Weedon was master of a classical school in Chelsea, where Pierce sent his son for education). A superficial reading of the records of the Convention would make it seem that he had little on his mind beyond protecting the institution of slavery. More careful scrutiny makes it possible to place him fairly precisely in the eighteenth-century political spectrum. His endorsement of landed property qualifications for voting and officeholding (Madison’s Journal, August 7 and elsewhere), his vehement speech regarding corruption and patronage under George II and his warm approval of ” the great Montesquieu” (Yates, June 23), his diatribe against “the Bloodsuckers who had speculated on the distresses of others” by buying depreciated public securities (Madison, August 23), and his reference to “the Constitution of Britain, when in its purity” (italics added) as a model (letter to Weedon Butler, October 8) together establish him as a firm, though non-ideological, adherent of the English country-party values associated with Viscount Bolingbroke and his Tory circle. John Dickinson’s speeches in the Convention mark him as being in the same camp as Butler (though he opposed slavery and had a stronger touch of classical republicanism in his make-up). Dickinson was, of course, far better known; indeed, he ranked behind only Washington and Franklin in national and international prestige among the delegates. He was born in Maryland in 1732, received a thorough classical education, and was trained in law in the Middle Temple of the Inns of Court. Returning to America in 1757, he soon became an extremely successful lawyer in Pennsylvania. His first venture into public life brought him into direct conflict with Franklin, who with his cohort Joseph Galloway was stirring up popular opposition to the Penn family and seeking to have the proprietary charter annulled. Dickinson, a temperamental conservative to the marrow of his bones, almost instinctively opposed any sudden or radical break with the past. That same temperament prompted him to lead the opposition to the Stamp Act in 1765; and conservatism, as well as his awesome knowledge of English legal and constitutional history, inspired and guided his celebrated Letters from a Farmer in Pennsylvania, published in opposition to the Townshend Duties of 1767. These letters established him as the preeminent leader of the resistance to parliamentary encroachments, a position he retained until the eve of independence. His conservatism prevented him from endorsing independence, but not from fighting for the American cause as a colonel in the Pennsylvania militia, and not from continuing to serve in Congress as the author of the first version of the Articles of Confederation. He had, in 1786, joined Madison and Hamilton in drafting the resolution of the Annapolis Convention calling for the Philadelphia Convention of 1787. Oliver Ellsworth, born in Connecticut in 1745, was educated at Princeton and subsequently studied theology and law. 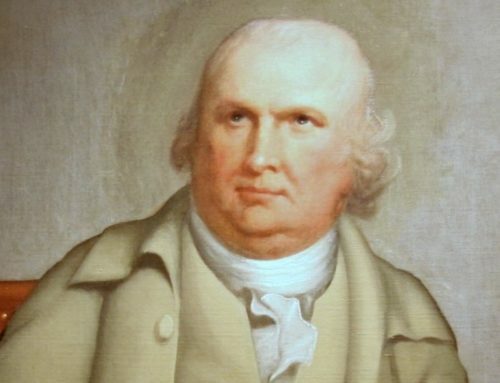 He struggled as a lawyer at first, but had built up a solid practice and a considerable statewide reputation by the time he first served in the Continental Congress in 1778, and in 1787 he was a judge on the Connecticut Superior Court. Though a man of learning, he disdained all affectation and ornament: both his speeches and his political writings were marked by a blunt, hard-nosed, common-sense style. Nor was there a trace of ideology or speculative theory in his make-up. He knew what he wanted for himself, for his state, and for his country, and he knew how to go about getting it. What is most important to understand about Ellsworth is that he was a shrewd bargainer and a tough, skillful, and (when he found it necessary) unscrupulous political operator. If Ellsworth was self-consciously a self-made man, his colleague, William Samuel Johnson, was born to a station of quality. He was among the best educated of all the delegates, having degrees from Yale and Harvard and having considerable reputation as a classical scholar; he served as president of Columbia from 1787 to 1800. He had been Connecticut’s agent in London from 1766 to 1771, and his standing in the state was so high that, though he was a Loyalist sympathizer if not actually a Tory during the war, he was unharmed despite the violence with which his fellow citizens treated most Tories, and as soon as the war was over he was made a member of Congress for his state. He was one with Ellsworth and Sherman in regard to all major subjects that arose before the Convention, and he lent the delegation a great deal of prestige and dignity. At almost sixty, he was the second-oldest of the middle delegates. Charles Cotesworth Pinckney, at forty-one, was the junior member of the group, but he was far from junior in his qualifications, either as to education or as to experience. As a child he had been in England with his parents and his younger brother Thomas (later celebrated for the Pinckney Treaty with Spain in 1796), when his father suddenly died. His mother returned to South Carolina but left her two boys to be educated in England. They received rigorous training in classical studies before entering and earning degrees at Oxford and then returning home. At Oxford, C.C. heard the lectures that were subsequently published as Sir William Blackstone’s Commentaries on the Laws of England. The Pinckney brothers’ Anglicization reduced their American patriotism not at all, and when they were back in South Carolina they embraced the American cause ardently. Charles Cotesworth (who had undergone advanced study in chemistry, botany, and military science in France) became a captain in the South Carolina line in 1775. He served on active duty until the end of the war, retiring as a brigadier general. Like the other delegates from his state, he favored a greatly strengthened national authority but regarded protection of the slave trade and exemption of exports from taxation as sine qua non. Heading the South Carolina delegation, by virtue of seniority—he was forty-eight—as well as by experience, ability, and force of personality, was John Rutledge. Like Dickinson and C.C. Pinckney, Rutledge had studied law at the Middle Temple. He was the leading member of a high-ranking family in the rice-plantation aristocracy and an extremely wealthy man, netting £40,000 sterling annually from his law practice before the Revolution, over and above the income from plantations employing more than 200 slaves. Neither status nor wealth inhibited him from embracing the American revolutionary cause; like Dickinson, he was a member of the Stamp Act Congress in 1765 and attended the first and second Continental Congresses. So patriotic that he named one of his sons “States,” he nonetheless managed to tend to the interests of South Carolina, seeing to it, for example, that rice exports were exempted from the various trade boycotts adopted by Congress. The same attention to both national interests and those of his state governed his conduct in the Convention. He was an accomplished orator, though he spoke too rapidly—reflecting the quickness of his mind—for some tastes. He was also a shrewd, realistic bargainer (a man of “Design and Cunning,” John Adams called him), which made it easy for him to collaborate with Sherman and Ellsworth despite their differences in background. Sherman was a truly professional politician. Self-made and self-taught, he had been a shoemaker and surveyor in his youth, had held at least one public office (and usually two or three) for forty-two consecutive years, and had been a judge of the Connecticut Superior Court for twenty-one. William Pierce’s sketch of him is penetrating. “Mr. Sherman,” Pierce wrote, “exhibits the oddest shaped character I ever remember to have met with. He is awkward, un-meaning, and unaccountably strange in his manner.” His thinking was deep and comprehensive, but “the oddity of his address, the vulgarisms that accompany his public speaking, and that strange New England cant” in which he spoke made “everything that is connected with him grotesque and laughable.” Yet, Pierce added, “no Man has a better Heart or a clearer Head.” Most tellingly, “He is an able politician, and extremely artful in accomplishing any particular object;—it is remarked that he seldom fails.” Pierce did not say so, but Sherman’s “particular object” was clear to everyone who had seen him operate during his many years in Congress. Connecticut was greatly overpopulated, given the quality of its land and the state of agricultural technology, and Sherman was seeking for his state a claim to lands elsewhere, either in north-central Pennsylvania or in Congress’s Northwest Territory. Hugh Williamson, the last of the important members of the middle group, was a man of such broad experience and such diversified learning that he may almost be regarded as a younger (he was fifty-one) Benjamin Franklin. He had taken a B.A. at the College of Philadelphia in1757, became a Presbyterian clergyman, and took an M.A. in 1760, after which he was a professor of mathematics for four years. Then he went abroad to study science and medicine at Edinburgh and Utrecht, returning after eight years to settle in North Carolina and practice medicine. During the war, he was Surgeon General in the North Carolina line and afterward he served three years in Congress. Like the other middle delegates, he favored a stronger national government provided that there was something special in the arrangement that would be favorable to his state. He was amenable to any such special favors as might arise, and his prestige among his fellows from North Carolina put him in a good bargaining position because he could “deliver” his state’s vote on almost any issue. Several general remarks can be made about these delegates. They were older and more mature than most of the delegates (their average age was fifty-one, their mean age fifty, as compared, for example, with an average of thirty-nine and a mean of thirty-five for the seven most outspoken nationalists in the Convention—Madison, Gouverneur Morris, Charles Pinckney, Wilson, Nathaniel Gorham, Hamilton, and Rufus King). They were experienced in public affairs, having served a combined total of 165 years in a wide range of public offices, military, legislative, executive, and judicial. With the exceptions of Ellsworth and Sherman, they were cosmopolitan, all the others having spent several years abroad. Except for Sherman, all had received extensive formal education and were men of great learning. All had particular axes to grind, different but compatible; none was bound by ideological fetters; and all were highly skilled in the political arts. If they could get together—and they did—these eight would form a multitude. During the opening days of the Convention the middle delegates were in opposite camps. On May 30, the first day after Randolph had “opened the main business” by introducing the Virginia Plan (or “large-states plan”) calling for an enlarged and reorganized national authority, the Connecticut and Delaware delegates insisted on preserving the existing Confederation, whereas—though C.C. Pinckney expressed doubts as to the legality of departing from the Articles both Carolina delegations supported the Virginia Plan. Moreover, the Carolinians favored proportional representation in both houses of Congress throughout the early debate on that subject, and the Connecticut men and Dickinson (along with the rest of the Delaware delegation) were for equal representation. But the possibility that there were grounds for accommodation soon became evident. Almost at the beginning, advocates of equal representation recognized that they could not have their way in regard to both houses; thus, they conceded the lower house and directed their efforts toward equality in the Senate. In this context, Dickinson gave a pair of speeches (June 2 and June 6) that provided a powerful conceptual breakthrough. Many delegates wanted the American constitution to be patterned after the British Constitution but, thinking that impossible because of the absence of hereditary baronies, groped for some kind of structural substitute based upon wealth or some other standard (such thinking was in fact implicit in the Virginia Plan and in the very idea of bicameralism). Dickinson alone perceived that the United States already had structural substitutes in the form of the individual states—which, in a sense, were both permanent and hereditary. Accordingly, he said, though the lower house should be “drawn immediately from the people,” the upper should be elected by the state legislatures “through such a refining process as will assimilate it as near as may be to the House of Lords in England.” It quickly came to light that the aristocratic South Carolinians, distrusting all popular elections (and having effectively closed the rabble out of their own legislature), wanted both houses of Congress to be chosen by and dependent on the state legislatures. When Wilson and Madison attacked Dickinson’s proposal by pointing out that it implied at least relative equality in the Senate, since that branch was to have few members, others from the “small states” (including Sherman and Ellsworth, who at first were opposed to it) reversed positions and promptly endorsed the idea. Dickinson’s depiction of the states as substitutes for baronies also appealed to many in the large-states bloc as well, and thus, though the Convention had previously (May 31) rejected such a motion, on June 7 Dickinson’s proposal was approved by a unanimous vote of the delegations present. During the next week, two more ingredients of a possible deal became evident. One was that the South Carolinians wanted representation in Congress to be based not on numbers of people but on the wealth of the individual states, or on a combination of numbers and wealth. The other was that George Read, Dickinson’s Delaware colleague, let it be known that his insistence upon equal representation was based upon a desire to obtain for his state a share in the “common lands” that “the great states have appropriated to themselves” (June 11 and especially Yates, June 25). Delegates from New Jersey and Maryland would reveal the same motivation, indicating that they all shared the same tangible goal as Connecticut. Exactly who agreed privately with whom to do what, and when, cannot be known for certain; backstage maneuvers are by nature secret and are normally undocumented. But from the recorded proceedings of the Convention, the identity of the participants and the general outlines of their agreements can be unmistakably inferred. The Connecticut delegates supported the South Carolinians in regard to slavery, exports, and—after a fashion—basing representation on wealth, though they had no direct interest in doing so. The South Carolinians, in turn, supported Connecticut in regard to lands and, indirectly, through the agency of Williamson and the North Carolina delegation, equal representation in the Senate, though it was not in the direct interest of either of the Carolinas to do so. What North Carolina received from the trading will become evident below. The first portent that machinations were in the offing came when Rutledge and Butler suggested (June 11) that representation be based not on population, but on the quotas of direct taxation levied by Congress against the several states—the quotas themselves were based upon the estimated value of lands. Dickinson countered that the rule should be based upon the sums actually contributed, not assessments, which would make it in the interest of the states to pay their quotas. Rufus King effectively closed that approach to apportioning representation by pointing out that much of the federal revenues would in future be derived from import duties, which might preclude the “non-importing” states (Connecticut, Delaware, and New Jersey) from having any representatives at all. Resolution of the question of the basis of representation began three weeks later when, after a tie vote indicated that the Convention was hopelessly deadlocked, a committee of all the states was chosen to try to find an acceptable compromise (July 2). The committee reported three days later with its proposal that representation in the Senate be equal by states but that all “money bills” must originate in the” popular branch” and could not be amended by the Senate. During the next few days, while “large-states” delegates grumbled that the money power was of no consequence, the South Carolinians insisted that representation in the House be based at least partly on wealth (July 5, 9). In that context Williamson proposed (July 11) that representation be based upon the number of free inhabitants and three-fifths of the number of slaves, which from a southern point of view did in fact combine numbers and wealth. The South Carolinians held out for fully counting slaves-almost certainly as a ploy, designed to make counting three-fifths of the slaves seem like a compromise to those many northerners who opposed counting them at all. Williamson’s motion was rejected, but the next day, after it was decided to interconnect direct taxes and representation, Ellsworth moved the three-fifths clause again, and over some northern opposition the motion passed. That, as the North Carolina delegates wrote their governor the day after the Convention adjourned, was a real bonanza for their state. It meant not only that slaves would not be taxed fully even if Congress should resort to head taxes, but also that taxes on land would be the same in southern states as in the “Eastern States,” even though “we certainly have, one with another, land of twice the value that they Possess.” In other words, North Carolina and other southern states would obtain more than a fair share of representatives and carry less than a fair share of the burden of taxes. Now it was time for Williamson to repay the eastern states, namely Connecticut, for the favor, and he did so. On July 16 the final vote on equal representation in the Senate was taken, and for the first time North Carolina abandoned the “large-states” camp. Its vote, when coupled with Massachusetts’s divided vote, tipped the outcome in favor of equality. What Ellsworth called a “partly national, partly federal” system—which all the middle delegates approved in principle, and all the nationalists opposed in principle—would become a reality. Some mysteries about the private trading remain, but they do not seem especially difficult to unravel. Williamson later claimed (August 9) that North Carolina “had agreed to an equality in the Senate merely in consideration that money bills should be confined to the other House;” but that claim is in direct contradiction to his statement on July 5 that the compromise proposal was “the most objectionable of any he had yet heard” and his comment on July 7 that if power over money bills should be limited, it should be confined to the Senate, not the House. It is almost certain that he was being less than candid on the later occasion; and in light of the support Connecticut had given North Carolina regarding the three-fifths clause, and also in light of the close cooperation among Ellsworth, Sherman, Rutledge, and Williamson regarding the interests of their states that would be manifest in August, it likewise appears almost certain that a three-way deal regarding representation had been worked out late in June or early in July. One more point wants clearing up: What Connecticut got out of the arrangement apart from equal representation. As indicated, Connecticut wanted land. It already had a claim to the Western Reserve in the Ohio Country and a tenuous claim to the Susquehanna lands in Pennsylvania, but the former, conceded by the Confederation Congress, could be taken away if equality of representation were abolished, and the latter had no prospect of being successfully prosecuted since it could be adjudicated only in the courts of Pennsylvania. 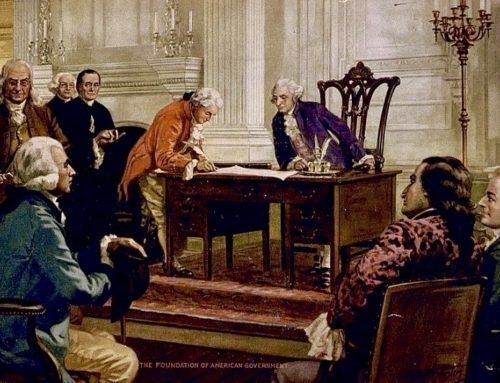 Shortly after equality in the Senate was agreed to, the Convention adjourned for ten days (July 26 to August 4), turning its resolutions over to a five-man Committee of Detail—which included Rutledge and Ellsworth—for the drafting of an outline of a constitution. Article II of the committee’s draft entrusted to the supervision of the Senate all territorial and jurisdictional disputes between states. Had that provision stood, equality of votes in the Senate would have offered Connecticut protection to the Western Reserve, for the landless states were in a majority and had a common interest in supporting one another’s claims. But the question became more complex during the recess. Sherman went home to New Haven to attend the funeral of a friend, and as he was passing through New York he learned of the consummation of an agreement between Congress and the Ohio Company (a Connecticut-dominated company in which other New Englanders had also invested), whereby the Company acquired a million acres of western land. That made it seem that Connecticut’s ability to protect its interests in the Senate, where it would have weighted chances of success; would now be less than in the federal courts, where the subject would be removed from politics altogether. This idea was reinforced on August 25, when the Convention adopted a proposed clause that all “debts contracted & engagements entered into, by or under the authority of Congs. shall be as valid agst. the U. States under this constitution as under the Confederation.” The resolution was designed to apply to public debts, but the words “& engagements entered into” would make it apply to the Western Reserve and the Ohio Company purchase as well. Accordingly, Rutledge and Sherman saw to it that the settlement of land claims was transferred from the Senate to the federal courts (August 24). Members of the middle bloc of delegates had a decisive influence upon the make-up of the executive branch as well as the legislative, but in this matter their contributions derived from creativity and intelligence rather than from connivance and intrigue. They shared a general attitude toward executive power; namely, a distrust of it tempered by a recognition that it was necessary, but at first they (like the rest of the delegates) could not agree on a means of constituting an executive branch that would at once be adequately energetic and not dangerous. To that end, Sherman, Dickinson, and Williamson favored a plural executive as being safest; the others thought a plural executive would be neither energetic nor responsible. Connecticut and South Carolina supported a motion to make the executive removable by Congress, which would have opened the way for a ministerial system, and Delaware supported Dickinson’s motion that Congress remove the executive on application of a majority of the state legislatures (June 2). The make-up of the executive branch was debated vigorously between the adoption of the compromise on representation and the recess on July 26. The general sense of the Convention was that Congress should elect the executive; but all recognized flaws in such a scheme of things. Elections would be vulnerable to intrigue and corruption, especially by foreign powers; and everyone remembered how such intrigue had led to the dismemberment of Poland. Moreover, if the executive were eligible for reelection, he would be a dependent of Congress, and if he were not he would have to be elected for a dangerously long term. Exploring the alternative of a decentralized election, either by popular vote or by electors, the delegates encountered what appeared to be an insuperable obstacle: The electors would be likely to vote for someone from their own states, no candidate would receive a majority, and the choice would fall upon Congress. Williamson offered a way around that barrier, one that ultimately became part of the system that was adopted. Electors, he suggested, should vote for three candidates, in which case they probably would cast only one for a person from their own state. Gouverneur Morris immediately seized upon the idea and improved it, proposing that the electors vote for two persons, one of whom at least should not be of his own State.” But Gerry and Mason, suddenly frightened by the prospect that an aristocratic junto “of men dispersed through the Union & acting in Concert”—the Society of the Cincinnati, for example—would dominate any decentralized election, objected strongly (July 25). Moreover, delegates from the extreme northern and southern states, assuming that electors, however chosen, would meet in one place to vote, protested that their states would thereby be effectively disfranchised (July 26). Thus decentralized election was dropped, and the Convention voted once again that the executive be chosen by Congress for a seven-year term and not be eligible for reelection. That was the way matters stood when the Committee of Detail began its labors, and since no one on the Committee trusted an executive thus elected, they were loath to vest the branch with substantive power. Accordingly, in their draft they proposed that most of the traditional executive power be vested in Congress, except that the power to appoint judges and ambassadors and the treaty-making power would be lodged exclusively in the Senate (Articles VII, IX, X). That would have made the presidency little more than a titular office. It was Pierce Butler who devised the solution. Butler was a member of a committee of one delegate from each state, appointed on August 31 to resolve a number of unsettled questions, and there he proposed a method of electing the president that overcame all the objections to other methods. His proposal provided for a president and vice president, which satisfied those who had been concerned about the succession in the event of the death or disability of the president. It provided that electors be chosen as the individual state legislatures should determine, which assuaged those who feared popular election by permitting the legislatures themselves to choose the electors. Each state was allotted a number of electors equal to its combined seats in both houses of Congress, which reflected the earlier compromise on representation. The plan provided that electors would meet in their own states, which overcame the problem of distance and minimized the probability of intrigue. Since a president so chosen would be sufficiently independent of Congress, he could now be safely entrusted—this was part of the proposal—with power to appoint ambassadors, judges, and other officers with the concurrence of the Senate, and the power to make treaties with the consent of two-thirds of the Senate (September 4; Butler to Weedon Butler, May 5, 1788). Only one significant change was made in Butler’s scheme, and it was proposed by Williamson and Sherman. The Butler plan provided that if no candidate received a majority of the electoral votes—which most assumed would normally be the case—the Senate would make the decision. If that were the way things worked out, the state legislatures would be choosing, directly or indirectly, three of the four branches of the government. Nationalists protested that this would make the Senate a dangerous aristocracy, and heated debate ensued. Williamson suggested that both houses decide, each state having one vote, and then Sherman proposed the compromise that was adopted: that in the event of a tie or the lack of a majority, the election would be settled in the House of Representatives, each state delegation having one vote for the purpose (September 4-6). Despite that compromise, the constitution of the executive branch, like that of the legislative, gave the states as states a disproportionate share of power in the partly national, partly federal government again in keeping with the desires of the middle delegates and contrary to those of the nationalists. The evolution of the judiciary—and the role of the middle delegates in its formation—cannot be traced in so clear-cut a fashion as the development of the other branches. Early on, the Connecticut and South Carolina delegations urged that Congress appoint the judges, against the insistence of Madison, Wilson, and others that the executive appoint them (June 5). They later agreed that the Senate should have the power (June 13, July 21), a position they held until after Butler’s electoral college plan was adopted. Rutledge and Sherman opposed the establishment of inferior federal courts, and they were supported by their delegations and by North Carolina but opposed by Dickinson (June 5). The Committee of Detail provided for “such inferior Courts as shall, when necessary, from time to time,” be established by Congress—meaning that such courts were not mandatory, and implying that they were to be temporary, ad hoc bodies (Article XI). But Morris had only the penultimate word. The open-ended language he employed in Article III left it up to Congress to determine the constitution of the judicial branch, and the Judiciary Act of 1789 became for practical purposes a part of the Constitution. That act was authored by Senator Oliver Ellsworth and steered through the House by Representative Roger Sherman. The contribution of the middle delegates in regard to several specific clauses of the Constitution could also be cited. For example, it was apparently Williamson’s argument that tipped the balance in favor of the prohibition against ex post facto laws, which the lawyers present thought unnecessary (August 22). Dickinson, supported by Johnson, Ellsworth, and Sherman, was the author of the Constitution’s narrow definition of treason (August 20). Charles Pinckney and Rutledge were the strongest advocates of the protection of the writ of habeas corpus (August 28). Other middle delegates were responsible for other specific powers and prohibitions. But none of these was as important as the structural design of the Constitution. In developing that design, the work of the middle delegates was crucial. It would be going too far, perhaps, to insist that without these eight men the Grand Convention could not have succeeded in its undertaking, though a strong argument could be made for such a proposition. More modestly, it can be said that without the middle delegates the Constitution would have been something quite different—and that it is questionable whether that different constitution would have been ratified. Books by Forrest McDonald may be found in The Imaginative Conservative Bookstore. Reprinted with the gracious permission of the Political Science Reviewer, Fall 1987.